How History Clean helps erase tracks and clean cookies history? History Clean lets you clean computer history completely without leaving any track of your activities on your PC and therefore ensures maximum level of anonymity even if you share your PC with anyone. History Clean is the perfect example of privacy protection software available in the market that offers seclusion and privacy at two different levels and at a very reasonable price. With History Clean, you cannot only clean computer history but can also clean browser history of almost all popular browsers. Your computer always keeps a record of all of yours activities like complete website history, detailed records of online chats, any document that you have opened, every online movie and video clip, search history, auto-complete forms, passwords, cache, cookies ,temp files and much more. This recorded history is used to make your computer experience more convenient, but it can also jeopardize your reputation and can be used for bad purposes. These tracks and history will make your PC run slower with the passage of time and decrease your PC performance, and in severe cases this information can be stolen by bad guys and third party malwares in order to harm you, your work, your business or your family. History Clean with its amazing features won’t let you compromise your privacy and anonymity anymore. It helps protecting your privacy and stops completely any security leak by cleaning your browser and computer history. You can either manually delete history traces on your computer or can use a privacy protection software. Deleting computer history manually will not assure complete privacy and is very time-consuming procedure. Using History Clean to clean computer history and erase tracks is very easy and simple, and do not require much time since History Clean can clean up all the history just by one click. You can also set it up to clean your history on Windows Shutdown. With History Clean, you need not to manually clean history of your computer daily. You can save enough time by choosing its option ‘Run Cleaning Operation on Windows Shutdown’ from General setting and click ‘OK’. 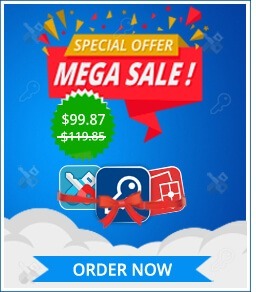 This feature of History Clean is particularly helpful for those who want to clean their PC every day, but they do not have enough time to do it manually, and therefore they need efficient and reliable privacy protection software to delete files and history on their PC every time they shutdown their PC. To clean cookies history, click ‘Browser Cleaning’ section, select your browser and check the box ‘Cookies’ and click ‘Clean’. To learn more about How to clean browser history and computer history, visit How To section of History Clean. Internet Explorer users can clean cookies history either through Browser Cleaning section or through ‘More Options’. For detailed information on how you can clean cookies history of Internet Explorer visit How to Clean Browser History with History Clean?